Like any other chronic, autoimmune condition, psoriasis is tough to treat. Everyone experiences psoriasis differently; with the sheer variety of triggers out there, it’s impossible to nail down a treatment plan that’s guaranteed to work for all of us. Sadly, no cure exists for those itchy and persistent red lesions that can appear at any time. In addition to over-the-counter treatments and prescribed solutions, psoriasis home remedies serve as viable treatment options. We’ve compiled a few of our favorites, so read on and see what works for you! Implement any of these strategies and leave your psoriasis in the dust. Who doesn’t love a warm bath? (Warm, not hot; hot water dries out your skin and can make sensitive skin conditions worse.) It’s relaxing, gentle on your skin, and indulgent. For those of us with psoriasis, it also relieves itching, especially if you add mineral oil, milk, or olive oil. Bonus points if you follow it up with a moisturizer. Dry air wreaks havoc on your skin, even when you don’t have psoriasis. When you’re prone to psoriasis, the dryness in the air dries you out even more, irritating those itchy lesions even further. We recommend putting a humidifier in your home or office to moisten the air a bit more. This stops dry skin in its tracks. This is one of those psoriasis home remedies that’s easier said than done. We get it. You’re busy, but you have to take time for yourself, too. Our skin does not respond well to stress, and because skin conditions are stressful, your psoriasis can be a vicious cycle. To combat this, tone down the stress in your life with relaxing activities, such as yoga, deep breathing, and coloring. Alcohol can be a trigger for many people with psoriasis. Cutting back on those glasses of wine or having one less mimosa at brunch lower your risk of irritating your skin further. This is especially true for women. So, we suggest sticking to one to three drinks per week to keep your risk as low as possible. Fish oil is a skin care rockstar. As both an antioxidant and an anti-inflammatory, it combats inflammation in the body while boosting your immune health. Because psoriasis is an autoimmune condition, we recommend eating more fish or taking fish oil supplements to put you on the fast track to healing. Many of us love our breads and pastas, but gluten can cause inflammation in the body. If you have psoriasis, cutting gluten out of your diet may help your symptoms. Like other psoriasis home remedies, it might not work for everyone, but it doesn’t hurt to try. Out of sight, out of mind, right? Covering your lesions helps to keep you from scratching them and allows more time for medication and creams to sink into the skin and take effect. Plus, the less frequently you see your lesions, the less frustrating they are. So, grab yourself some plastic wrap and let yourself heal. We had to include this one on our list of psoriasis home remedies because it’s just so simple. Water makes up 90% of our bodies, so you should constantly be sipping on water to replenish your body’s reserves. Plus, it keeps your skin from getting too dry, thus reducing your lesions. 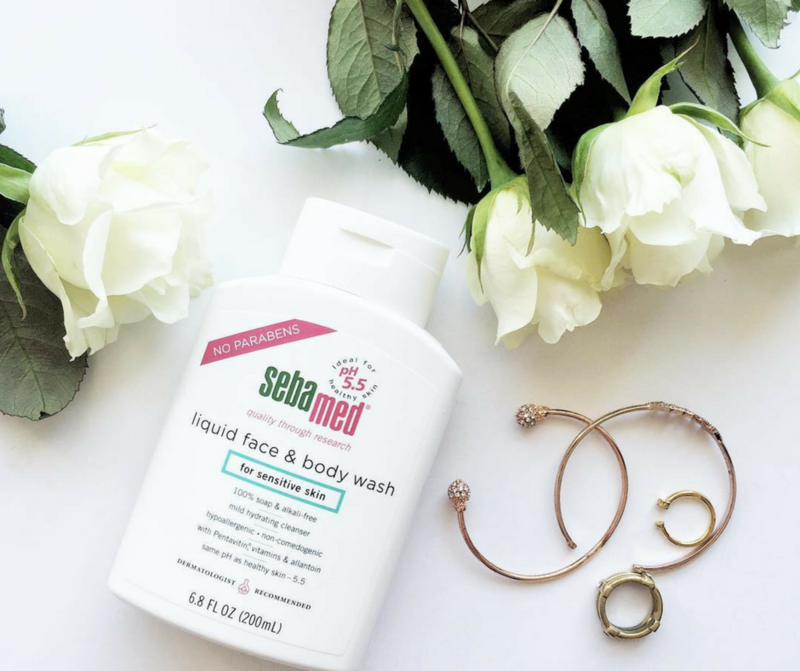 Psoriasis home remedies can do a lot for your skin, and so can Sebamed. We offer a wide range of lotions, creams, cleansers, and extras suitable for the most sensitive, psoriasis-prone skin. Check out our full lineup here. Yes! Finally someone writes about how to treat psoriasis.